We will award $50 tuition discounts to students who placed 1st, 2nd, 3rd and excellence. These discounts apply to next semester. 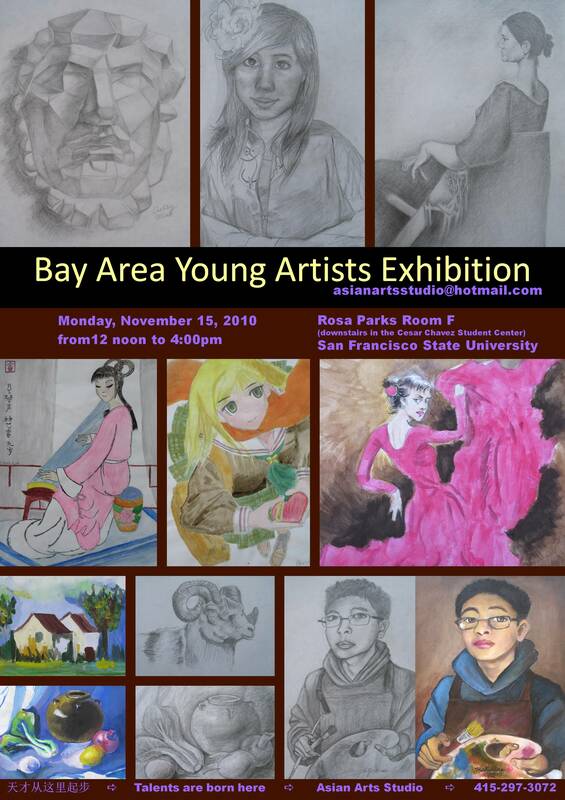 Two of our high school students, Kamilla Woo (current 3:00pm, Sunday afternoon class) and Alisha Tam (current 7:00pm Friday evening class), received Honorable Mention from the California Coastal Commission in this year’s art contest. They competed against 2,500 other young artists from all over California. We offer joyful congratulations to Kamilla and Alisha. We also offer a grateful appreciation to all the artists who worked so faithfully and diligently to prepare their art for submission to this prestigious competition. January 31, 2017: The California Coastal Art Contest Entries must be postmarked by January 31, 2017, (free). January 31, 2017: Bring required works to Asian Arts School to win a rubber duck (free). 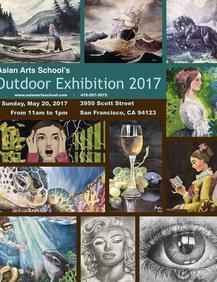 April 29-May 7, 2017: 9 AAS students’ works will be selected to participate, at the Asian Art Museum, 200 Larkin Street, San Francisco, CA 94102. ​December 30, 2017: The deadline to enter the "Modeling the Masters" is ​December 17, 2017, (We recommend that students turn in their work well before the deadline.) December 30, 2017 Saturday, The exhibition opening will be from 11:00 am to 1:00 pm at Asian Arts School, 2101 Taraval Street, SF, CA 94116, Everyone is invited to this exhibition. This Project is ONLY for AAS Level 3 and above students. Three contests will be conducted in 3 two-hour classes on February 17, 18, and 19th. The first-place award for each contest is $50. The judges will be Xiaojie Chen, Ming Ouyang, and Gregory Collins. January 14, 2018: “Draw for a Ducky” is an OPTIONAL activity for the basic-level students that have extra energy. Students draw at home from the Drawing Instruction Book by Lin Wei at Amazon.com, then submit their completed works in color by January 14th to win a rubber ducky. Level-1 students are required to submit three pictures in color. 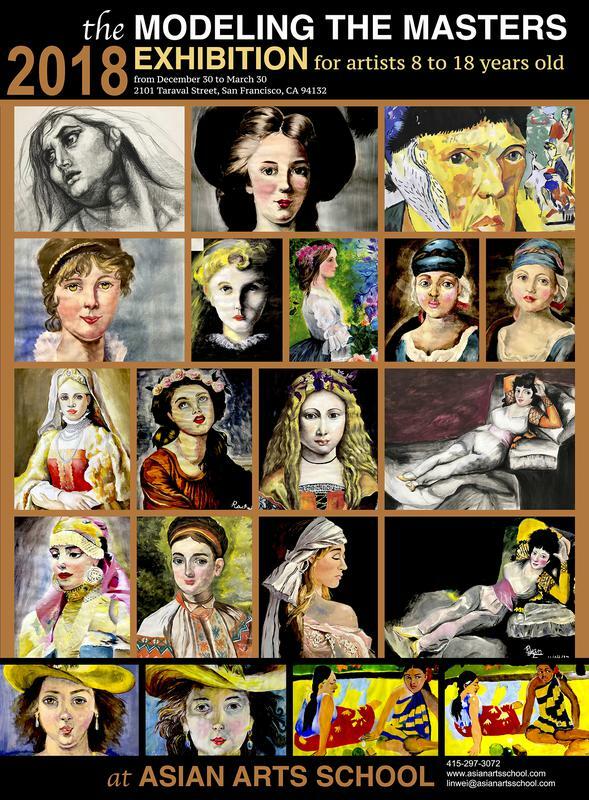 Level-2 students are required to submit six pictures in color. 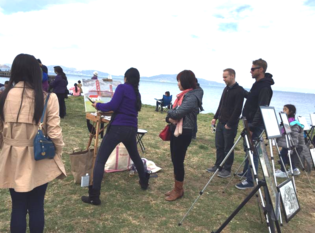 January 28, 2018: is the deadline for entries to the California Coastal Commission's Coastal Art & Poetry Contest for K-12 students of Asian Arts School. I will bring the submitted works to the Coastal Art & Poetry Contest office before their deadline of January 31st. http://www.coastal.ca.gov/publ iced/poster/poster.html . February 5-9, 2018: Lin Wei teaches Chinese Painting at (CAIS) Chinese America International School to 1st-5th grades, 260 students. February, 2018: The Chinese Bridge Drawing/Painting Contest will come soon (around the time of Chinese New Year). We will be conducting exercises for this contest a few weeks ahead of the event. We want to be ready for this one! January 28 to February 1, 2019: Lin Wei teaches Chinese Painting at Chinese American International School (CAIS), 1st-5th grades, 260 students. February 15, 2019: Registration for Chinese Bridge Drawing/Painting Contest. April 6, 2019: Live Portrait Contest for the advanced students from our 2-hour class group. 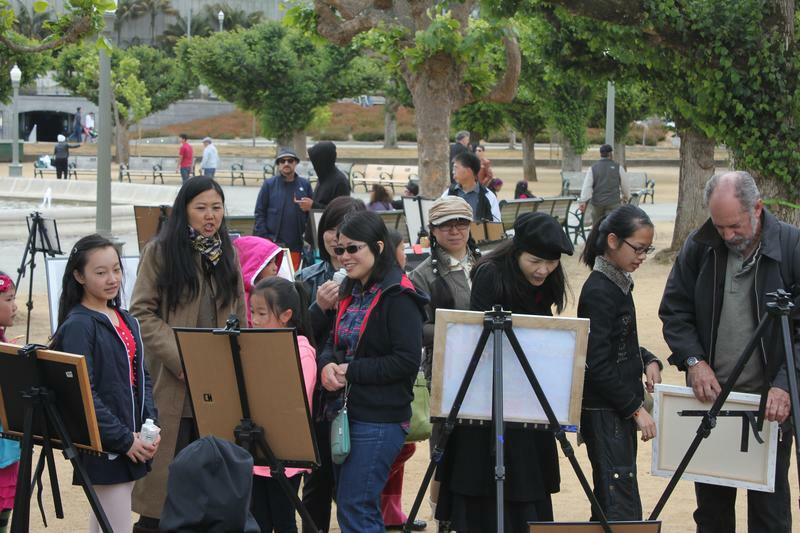 April 27 to May 5, 2019: SFUSD Arts Festival at the Asian Art Museum, 200 Larkin Street, San Francisco, CA 94102. 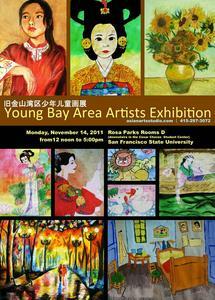 The artwork of 9 AAS students will be selected to appear in this exhibition. (Art pieces must be well framed and without glass.) There is no entry fee for this event.